Zero Carb Interview: Debra Caldwell | Eat Meat. Drink Water. I first began Zero Carb around 5-6 years ago. I had good weight loss success on Very Low Carb following the original Atkins Induction phase of his diet, only I stayed on the Induction. I mostly ate meat and an occasional salad, no fruit. I did get hooked on some Low Carb Franken Foods. LOTS of cravings once I started the Franken Foods. While visiting a Low Carb forum, I came across a Low Carb member that was saying her goodbyes, as she was leaving the Low Carb forum to join a Zero Carb forum called Zeroing in on Health (ZIOH), as she felt that was the way for her to go. She was not losing weight, had cravings, had a hard time keeping weight off, didn’t feel energized, etc.…EXACTLY what I was experiencing! I immediately emailed her and asked for the Zero Carb web address and joined that very day. I was committed for almost a year, then for whatever dumb reasons, I started eating carbs again and began gaining weight. I was so mad at myself! I lost that good Zen feeling of Zero Carb and all the excellent support and friendship of my Zero Carb family, because I was too ashamed of myself to go back to ZIOH and tell them that I had slipped big time. Thank goodness I came to my senses! I have been back for almost 2.5 years. BEST DECISION I EVER MADE!! I guess I kinda covered some of that above, but my main motivation at first was for weight loss. 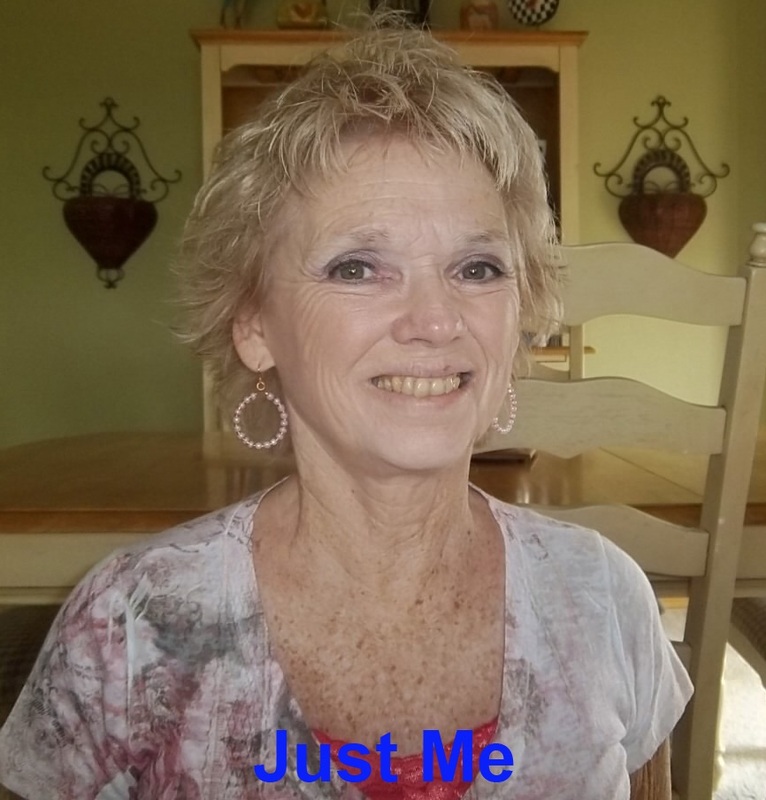 Now the older I get and I see the devastating effects of a lifetime of SAD on the elderly – my mom has horrible RA and my husband’s dad just died recently from Alzhemier’s – my health is as important to me as my weight, yes I am VAIN! The Low Carb member that inspired me to make the jump was named Sharon I think; she was a chef for a restaurant in England at the time. Many of the Zero Carb forum members may remember her. She worked with food all day and I was and still am a cake decorator. We both had to face tempting foods/baked goods, all day while being Zero Carb. During the couple of years before I went back to Zero Carb, I gained and lost many times, always craving carbs. I KNEW in my heart the way to go was Zero Carb, so I finally went back home to ZIOH, where I was welcomed back with open arms. Charles, Caitlin, Kelly, Dana, Lise, and MANY more have been so inspirational and motivating. My first time around I was coming from Very Low Carb, so not too much adjustment. I did have several weeks of queasiness from the fatty ground beef, but it did go away. I do remember my primary focus at that time was for weight loss. I got a firm, but gentle reminder from ZIOH Veterans (Iron Fists in Velvet Gloves) that it is about HEALTH first; the loss of weight is a bonus. Boy, did I need that reminder! I was Zero Carb for about 6-8 months, maybe a year. Can’t remember for sure. Then I was “gone” for about 2 years riding the “carb on, carb off” roller coaster, gaining and gaining, sometimes losing, but always overwhelmed with the cravings. I knew Zero Carb was the answer and would go Zero Carb for a couple of weeks, then back to my bad carby crap. I think now if I had rejoined ZIOH during that time I might have stayed Zero Carb. Finally I got off the rollercoaster and got serious. My weight was high for me, pushing 155-160 for my 5’3” medium frame. My blood pressure had gone up and I had never had high blood pressure before. That scared me. I went very low carb, practically zero carb and lost about 20 pounds. By the time I hit 135 or so I was eating zero carb. I rejoined ZIOH and continued my Zero Carb journey. There have been a few blips along the way, but very few. I am now 117-120 and feel fantastic. My blood pressure is normal. At 62, I run circles around folks half my age. My hormones must be good now or I would not have been able to lose the weight and keep it off. Menopause was mostly hot flashes for me. I did not take any hormone supplements or medications for menopause. I might have been extra moody, as I was eating carbs during part of my menopause, but I never felt like killing anyone or have crying fits. Atkins original book was my bible for years. I lost lots of weight on his induction phase and loved all the fatty meat, butter and cream. Good Calorie Bad Calorie – though more scientific than I can digest – is great! The Bear, which I have read several times, is just amazing! Charles, Caitlin, Kelly, Margo, Dana, Lise, Dave, Margo and MANY other Zero Carb Veterans from the ZIOH forum have been/are the BEST! The enthusiastic new folks now joining our Facebook Zero Carb (also called Zeroing in on Health) group also continually motivate me. I eat mostly 73/27 ground beef. I eat eggs every now and then. My husband eats about 6 -8 eggs every day along with his ground beef. I also eat rib eye and T-bone on occasion. If I am lucky enough to spot Chuck Eye steaks, I will grab several packages. I do not eat cheese, too salty, bloats me and causes weight gain. I love cream, but it loves me too much! I go from a couple of teaspoons to ½ cup, so I ditched it. Post nasal drip and constant clearing of my throat went away after I ditched it. I do not eat pork, not because I dislike it, but for some reason it always tastes salty and my weight will shoot up 2 or 3 pounds. On occasion I will eat bacon, but again, really too salty, and I am talking about the low sodium version! I also eat beef spareribs, love them, and CHICKEN WINGS, LOVE THEM THE MOST!! I bake them to almost chicken jerky and will devour them all, hot or cold. SO, I only eat chicken wings once a month or so. I do not eat fish. Debra before adopting a Zero Carb diet. Medium, sometimes medium rare. I used to eat it well done. Now I like it with just a little bit of pink. In the beginning, I added fat – usually butter or beef fat. Now I just eat whatever is in/on my meat. 73/27 produces a lot of yummy fat drippings and I pour a small amount over my burger patty to dip my bites of burger into. Sometimes I will fry eggs in bacon grease, but usually I fry them in beef fat. Delicious! I eat until satisfied. Some days I may eat 2-3 pounds, but most days around 2 pounds. I made bone broth once. It was ok. I probably won’t make it again. I eat an hour after I get up and an hour after I get home from work, so twice a day. Yesterday I ate 3 times. Most days it is 2 times a day. I eat around 2 pounds, sometimes 2.5 pounds. Now steak, I will eat until it is gone, be it 1 pound or 2! I will also eat an entire family size package of chicken wings in one sitting! I eat regular commercially produced meat. I now drink just water. I have been off coffee for over a month and do not miss it. Believe me, I was a coffee addict! I LOVED my coffee, drank it all day. I feel coffee was not good for me, it disguised my hunger, over stimulated my bladder, I kept clearing my throat all the time and honestly did not feel any more energized drinking it. For me, it was a good thing to eliminate it from my diet. I found both caffinated and decaf coffee suppresses my appetite. I did not know that the coffee was suppressing my appetite until I quit drinking it. I initially ate more meat for several weeks, gained a couple pounds, then found myself not very hungry anymore and now I easily eating one meal a day. I have also dropped the 2 pounds I gained. No. I prefer the natural taste of meat. My husband does the meat shopping and a 10 pound chub of 73/27 ground beef has been running around $32.00. We go through about 2 – 2.5 chubs a week. I easily eat over 10 pounds myself and my husband uses a 1 roll for his meals. I don’t know what eggs are running, but we get about three to four 18 count cartons a week. Then there are the occasional chicken wings, beef spareribs, and steak. My Hubs is still drinking coffee, he wants to finish the can. So after the can is gone, no more buying coffee. I don’t think he knows that yet! My husband and I eat ground beef almost exclusively. My husband does eat lots of eggs as well. I eat eggs maybe a couple times a month. I find ground beef the cheapest and most satisfying. If I find markdown meat on sale, I will sometimes splurge and get some sale packages. Many years ago I was a competitive body builder. I was an exercise maniac! In preparation for body building competitions I would do 3 hours a day of aerobics plus my lifting, all while on a low fat diet. Talk about HUNGRY and the CRAVINGS!! UGH! So glad I am off that hamster wheel! Now a days, my job requires me to be on my feet and moving about to accomplish my work. In the Summer, Spring and Fall I ride my horses. I do not do any formal exercise. My doctor told me several years ago that I had low thyroid. I knew NOTHING about thyroid at the time. He described some of the physical symptoms of low thyroid, none of which I had, but nonetheless, he prescribed meds for me to take. I took them. I did have a brief spurt of energy at the beginning, but then I couldn’t tell any difference. I detest taking meds and after being on ZC for a while, I dropped them all together. That has been over 2 years ago and I feel great. I am Post Menopausal and frequently read that women say they cannot lose weight after menopause. 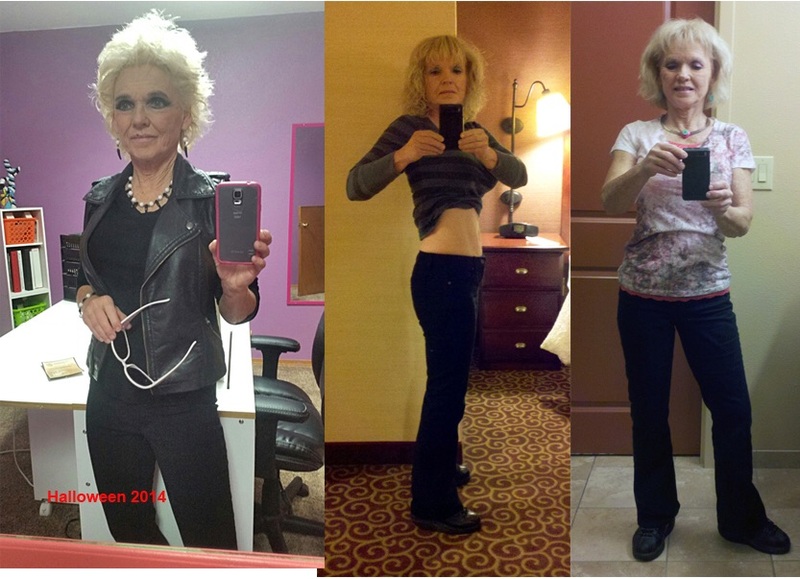 With Very Low Carb and then Zero Carb, I had no problem losing weight and keeping it off. I hardly ever get sick. Several weeks ago I got a touch of the flu. It was gone in less than 2 days. Before that, I cannot remember when I was last sick. I feel more mentally sharp and don’t fly off the handle like I used to. I still have a temper, but it takes more to set me off and my degree of anger isn’t as deep as it once was. My nails are actually hard now, in fact, too hard! I can’t bite them any more! This may sound weird, but the other day I thought my vision was actually better, more sharp. I speak my mind, sometimes in a very blunt manner. Not rude, just blunt. Before I would beat around the bush, try to phrase things just so, but now I just say it. With a smile! Debra after adopting a Zero Carb diet. No. I wish I had known about ZC way back then. Hopefully someday my daughter will give it a try. The health benefits are so great! No. My daughter is now an adult. Hopefully she will give this a try one day. The simplicity of it all! I feel that I am ahead of the aging game by eating ZC and look forward to being vital and active in my senior years, which is still a LONG way off. KEEP IT SIMPLE. GIVE IT TIME. If I can do it, ANYONE can. Read and learn from the ZC veterans, they have much to offer. Find meat that your enjoy, guzzle down your water and live your life free from food hang-ups. My family and friends are used to me eating “weird”! They know I eat only meat and “its just how Debbie eats”. It is no big deal to go to family functions and not eat or to show up with my own food. I have one very dear friend that knows I eat totally Zero Carb and she doesn’t say yay or nay about it. People at work, those than know from many years ago, think I am still Very Low Carb and always comment on how “Debbie never eats anything, she is so good”! Good has nothing to do with it! I do not hide how I eat, nor to do I preach about how I eat. If anyone is interested, I will share information with them. I had one coworker/friend that announced that she was going to go “ZERO CARB like Debbie”. At lunch time (for her, I do not eat lunch), she said she was going to have some roast beef from the deli, a carton of yogurt (sweetened) and I believe a fruit or veggie, can’t remember. I told her the beef might be ok, but did she know that yogurt was full of carbs, same with her veggie/fruit? I said Zero Carb meant Zero Carb. I suggested she go around the store and read some labels on a variety of foods that she felt would fall under her definition of Zero Carb. She came back a better carb-educated woman! “Everything has carbs!” she said. Sorry to say, she only lasted maybe a week…. Oh well, maybe someday she will try again. Men are amused that I eat only meat, never any problems eating just meat in public with men around. They actually find it cool. As stated above, I have no problem carrying my own food with me to a function or dinner. I have sneeked food into restaurants and if it is not condoned by the establishment, I excuse myself and eat in the restroom. Doesn’t bother me in the least. When someone comments on me eating JUST meat, I respond with a big smile and say: “A Vegetarian eats veggies, a Carnivore eats meat! Got it?”. They seem to get it then. When I mentioned above that anyone can do this if I can, here is why: I work in a bakery, yes a CARB FACTORY! I am a 5 star Cake Decorator. I am CONSTANTLY inhaling, touching, making cakes, cookies, etc. I have been in bakery work for 30+ years. With ZC I view what I do as art, which it is, and artists don’t eat their mediums! HAHA! I honestly do not want to eat any of the items made in the bakery. I do like the smells and aromas and that is about it. Sometimes I do get tempted, but it goes away quickly. And I really love my job! 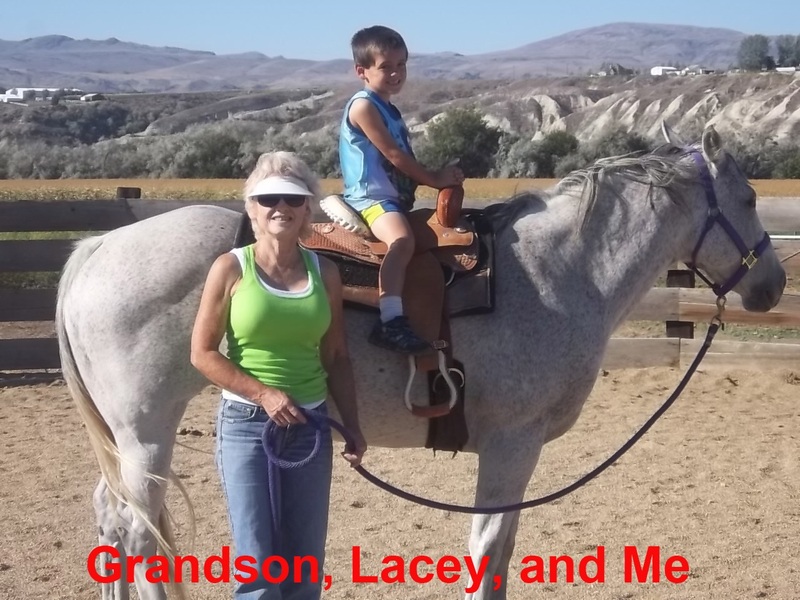 Debra with her beloved horse and grandson. 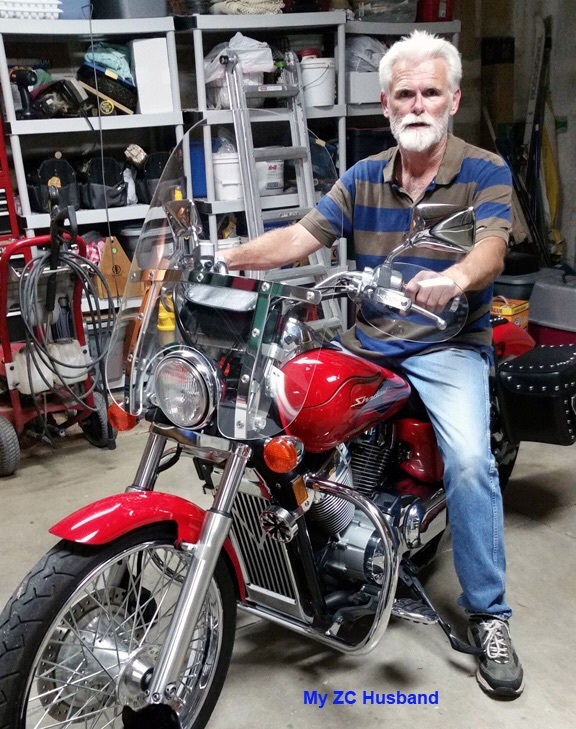 This entry was posted in Interviews and tagged Diet, Fat, Health, High Blood Pressure, High Fat, Keto, Keto-Adapted, Ketogenic Diet, Ketosis, LCHF, Low Carb, Meat, Menopause, Nutritional Ketosis, Owsley Stanley, Paleo, Paleolithic, Primal, Weight Loss, Zero Carb by esmeelafleur. Bookmark the permalink. Thank you so much Jan! I hope all is going well with your ZC journey. I am interested in seeing how ZC will help you on your next big journey…menopause! I gotta fix my notification thing on my blog…didn’t see this til just now. BUT now I have a face to go with the names I’m seeing on the ZIOH page. 🙂 I’m just past the 30 day mark–on day 32 now, so I figure I’ll start counting in months now. No looking back for me. Thank you for sharing your very inspiring story. As a person new to this woe, I never tire of hearing the experience of those on zc. As a personal chef, I can relate on many levels. I’m going on day 9 and hoping to make this a lifetime commitment but firmly believe in taking it one day at a time. You look fabulous and zc is clearly the way to go if you want to live a happy, healthy and vibrant life!